Israeli police issued a summons order, Thursday, to a Palestinian pathologist who attended the autopsy of a bus driver found dead earlier this week. Dr. Saber al-Aloul received an order to report to the Russian Compound detention center for questioning at 10 a.m. on Sunday, he told Ma'an News Agency. The pathologist said that the order was illegal, and that only a court or general prosecutor could issue this type of demand for a court session, and not a closed interrogation. See: 11/18/14 Palestinian Bus Driver Was Murdered, Forensic Expert Says for background info. Israel's Coordinator of Government Activities in the Territories, Yoav Mordechai, said on Tuesday that an autopsy report on the death proves it was a suicide and that there was "no suspicion of criminal activity." The victim's brother, Osama al-Ramouni, said the family did not accept a verdict of suicide, saying his body "had bruises on it," suggesting he had been "tortured" before his death. "My brother had children and was a happy man. It is impossible that he killed himself," he told AFP. Disruptions to public transportation in Jerusalem are expected again Wednesday, as Palestinian drivers working for the Israeli bus company "Egged" begin their second day of strike in protest of the death of fellow-driver Yousuf Hasan al-Ramouni. 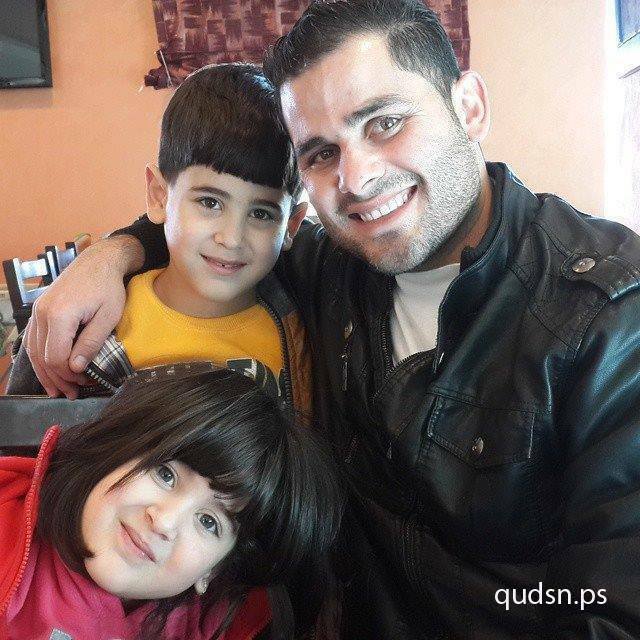 Although an Israeli autopsy report and police investigation concluded that the 32 year old father of two died of suicide, Palestinians claim he was murdered by Israelis. 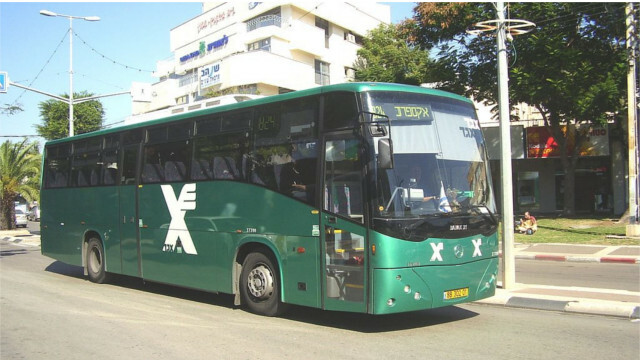 Egged noted in a statement that “Following the sad death of an Egged driver who ended his life and committed suicide, there are disruptions in Jerusalem's urban bus routes. These disruptions are caused by the absence of drivers...from East Jerusalem”. Egged is bringing drivers to Jerusalem from other cities to minimise disruptions to service. An anonymous medical expert told the Palestinian news agency Ma'an that al-Ramouni died of “hanging and strangulation” and that preliminary tests suggest he was victime of “an organised murder”. The victim's brother, Osama al-Ramouni said the family did not accept the verdict of suicide, saying his body "had bruises on it," suggesting he had been "tortured" before his death. No notice concerning an end to the strike has been given. A Palestinian pathologist said the report published by the Israeli police speculating that the Palestinian bus driver, Hasan Yousef Rammouni, hanged himself to death is inconsistent with autopsy findings that indicate he was murdered, and did not commit suicide. Rammouni’s body was found, late Sunday night, in Mt. Scopus in the West Bank, inside a bus he drove, in a bus depot belonging to the Egged Israeli bus company. Israeli police said he likely committed suicide, but his body carried signs of torture and violence. Speaking on condition of anonymity, the Palestinian pathologist said Rammouni died by hanging and strangulation, explaining that usually when a person hangs himself to death, the first vertebra would be dislocated, while Rammouni’s body did not show dislocation of the vertebra. The pathologist also said that the autopsy also showed that rigor mortis, which usually occurs in instances of suicide by hanging, showed that the blood settled on the buttocks and not the lower limbs, which indicates Rammouni was not dangling when he died, the Maan News Agency reported. Maan also quoted the expert stating that the Palestinian driver was likely killed in a planned attack, and that it would take more than three months of lab work to officially confirm his findings. Mustasem Faqeeh, a Palestinian driver who worked with Rammouni, said he saw the body of Rammouni hanging from a bar above the steps over the back of the bus, in an area that would have been impossible for him to reach and hang himself alone. The family said they do not accept the Police report claiming the death was caused by suicide, especially since Rammouni’s body showed bruises and other signs of torture and violence before his death. The announcement by Israeli police that they deemed the death a suicide came just hours after the body was found, which was not sufficient time for any type of investigation or for an autopsy of the body to determine the cause of death. Police provided no evidence for their claim that the death was a suicide. Israeli Prime Minister Binyamin Netanyahu told the media that his military forces would respond 'with a firm hand' to an attack by two Palestinians on a yeshiva (Jewish religious institution for study) in Jerusalem in which four religious Jews were killed. Another Israeli government official compared the attack to the Holocaust. The two men allegedly entered the while prayers were in service with knives, axes and guns, and began attacking worshipers. Israeli police soon arrived on the scene and, after a brief shootout, killed the two men. Six people were wounded in the attack, including two police officers, according to police spokesperson Luba Samri. 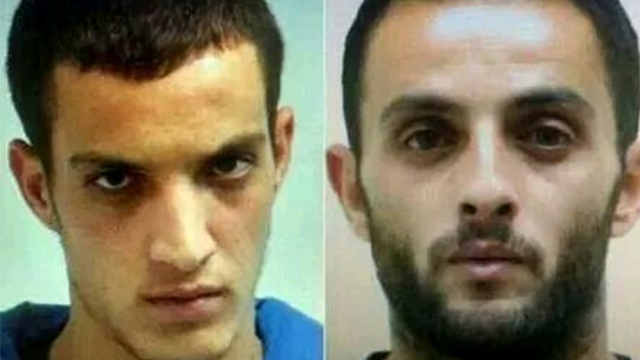 The two men who carried out the attack were identified as Ghassan Abu Jamal and his cousin Udayy from Jabal al-Mukabbir neighborhood of Jerusalem. The institution that was attacked, Kehillet Bnei Torah, is known as a haredi (ultra-Orthodox) institute whose participants are followers of Rabbi Shmuel Auerbach. Auerbach gained infamy in early 2014 throughout Israel when he declared that his followers would “fight to the death” against the Israeli government if the government attempted to enforce the military draft on yeshiva students. The attack on the religious institution follows months of attacks by right-wing Israeli Jews against Palestinians which went largely uninvestigated by the Israeli police. These include the brutal murder of 16-year old Mohammad Abu Khdeir in June, who was forced to swallow kerosene and then burned alive, according to autopsy reports. The killers were identified and charged, but were released from jail within two weeks of their arrest. That incident was followed by dozens of others, carried out by Israeli civilians and soldiers throughout the West Bank and East Jerusalem, reaching a peak during the brutal Israeli military assault in July and August in which over 2100 Palestinians were killed, including over 400 children. Most recently, on Sunday a Palestinian bus driver was hanged to death inside his bus – despite his body being covered with bruises, the Israeli police immediately ruled the death a suicide. Their ruling led to protests by Palestinians, who have no legal recourse in Israeli courts. After Tuesday's shooting attack, Israeli Prime Minister blamed both Hamas and Mahmoud Abbas, the Palestinian President – whose Fateh party recently reached a unity agreement with Hamas. The two men involved in the attack did not claim affiliation with any Palestinian faction, but an alleged representative of Hamas praised the attack in Israeli media. Large numbers of Israeli police were deployed into Palestinian neighborhoods in east Jerusalem following the attack. The police had already been deployed in many of these neighborhoods, where they have had an increased presence over the last several months. A Palestinian bus driver was hanged to death by Jewish settlers late Sunday night in the industrial zone Givat Shaul in west Jerusalem. The bus driver was identified as 32-year-old Yousuf Khamis al-Rammouni, a resident of Attour neighborhood in east Jerusalem. 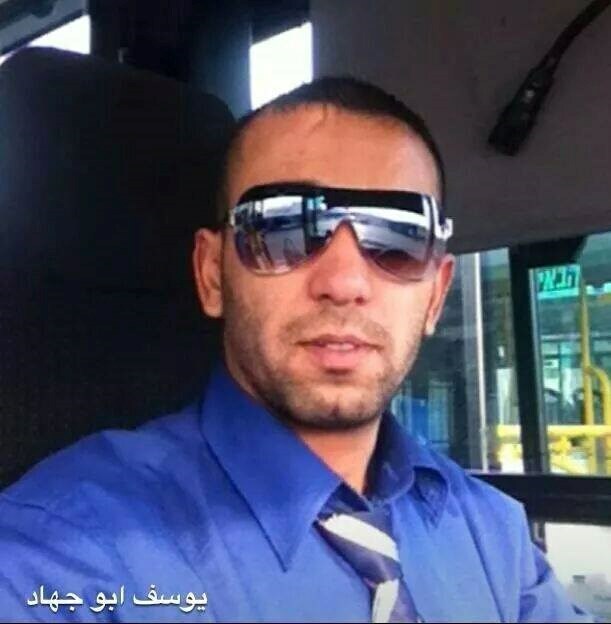 Rammouni, who works as a bus driver for the Israeli bus company "Egged," was found physically subdued and strangled with his own tie at the Har Hotzvim bus depot, hanging from one of the bus's interior bars, according to different news reports. His body was transferred to Hadassah hospital for an autopsy. Pictures of his dead body show clearly bruises on his body and signs of strangulation on his neck. Soon after the Israeli police hastened to claim that the victim committed suicide, eyewitnesses said they saw a number of settlers fleeing the scene. Other Palestinians working for Israeli bus companies in Jerusalem said that Jewish settlers recently threatened to kill Rammouni and other drivers. Extremist settlers have intensified their terrorist attacks lately against Palestinians as the Israeli police usually cover up their crimes. The incident caused an immediate Palestinian uproar in different areas of east Jerusalem, especially in Attour neighborhood. Meanwhile, the Palestinian bus drivers in occupied Jerusalem said they would stage a general strike on Monday in protest at the killing of their colleague. A young Palestinian was shot dead by Israeli forces during clashes in al-Aroub refugee camp north of Hebron, on Tuesday. Additionally, a Palestinian worker was shot dead, at dawn, by an unidentified person, near the Tulkarem district. Sources at al-Mezan hospital told Ma'an News Agency that 21-year-old Mohammad Imad Jawabra was shot in the chest and arrived at the hospital in critical condition. Doctors announced his death shortly afterwards. An Israeli army spokeswoman said a "violent riot of 200 Palestinians" was taking place in the area, while a Palestinian "aimed an improvised weapon" at forces and that soldiers responded by shooting him, "confirming a hit". However, a witness reported to Ma'an that he and Jawabra were drinking tea on the roof of his house when the bullet struck the young man in his chest. At dawn on Tuesday, a Palestinian worker was shot dead by unidentified person, near the Green Line opposite of the Tulkarem district, according to the PNN. sraeli authorities told the PA that Nihad Na'aluwa, age 35, from Shweika area near Tulkarim, was killed during theearly morning hours in the Zeimar area, inside the green line, when someone shot him dead. The assailant remains unidentified. Israeli police are reportedly investigating the case, and the body will be moved to the Palestinian side of the Line following the investigation. The Green Line separates the occupied lands of 1948 from the lands of 1967, and falls under Israeli sovereignty. Also on Tuesday, Israeli troops shot and seriously injured a young Palestinian man near the southern West Bank town of Khursa, according to Israeli media. Ynet news said that an Israeli military ambulance took him to an Israeli hospital. Meanwhile, two Palestinian teens were injured during clashes in the village of Beit Furik, east of Nablus. Local sources told Ma'an that Israeli forces shot live fire, stun grenades, tear gas, and rubber-coated metal bullets at protesters near the school. The two injured were identified as Ali Naji Hanani and Moayyad Khataya, both aged 16. Red Crescent medics said that the two young men were taken to Rafeda hospital for treatment, where their wounds were described as light to moderate. Clashes also reportedly broke out between Palestinian youth and Israeli forces in the town of Tuqu, near Bethlehem, and in Beit Ummar of northern Hebron. Mohammad Ayyad Awad, the spokesman of a local popular committee in Beit Ummar, said that Israeli forces used tear gas, stun grenades and live fire on protesters, causing several injuries. The clashes come on the 10th anniversary of the death of iconic Palestinian leader Yasser Arafat, and a day after Palestinian stabbing attacks killed a soldier in Tel Aviv and a settler near Bethlehem. Israeli sources confirmed Monday that a 25-yet-old settler woman and an Israeli army soldier have been killed in two separate stabbing attacks, in Tel Aviv and the West Bank, while at least two others were injured. A Palestinian man, allegedly the attacker was shot and killed. Israeli daily Haaretz said Dalia Lamkus, 25, from the illegal settlement of Teqoua’, near Bethlehem, died on Monday evening after being stabbed by a Palestinian, while a young settler was moderately injured in his abdomen, and a 50-year-old man suffered a mild injury to the face. The incident took place, on Monday evening, near the Alon Shvot illegal Israeli settlement, in the Gush Etzion settlement bloc. Israeli sources said that the attacker, later identified by the Israeli Internal Security Service as Maher Hamdi al-Hashlamoun, 31, is a former political prisoner, from Hebron, who was held by Israel for more than five years. The Palestinian News & Info Agency (WAFA) said al-Hashlamoun was shot and killed by Israeli army fire, and by rounds fired by a guard of the Alon Shvot settlement. On Monday evening, Israeli soldiers invaded several homes in Hebron, and kidnapped the brother of al-Hashlamoun, and his brother-in-law, in Ein Sara area in the center of the city. Local sources said the soldiers invaded the home of al-Hashlamoun’s father, and ransacked it before kidnapping his brother, Mohammad, and invaded the home of his brother-in-law, Khaled an-Natsha, in the same area, and kidnapped him. The soldiers also invaded and searched several homes belonging to relatives of al-Hashlamoun. Medical sources in Hebron said dozens of residents suffered the effects of tear gas inhalation, and two were kidnapped by the soldiers, during clashes that took place in Hebron after the army invaded it. In addition, soldiers clashed with dozens of Palestinians in Doura town, south of Hebron, and kidnapped a Palestinian identified as Hamza Ezzat Amro, 21. The stabbing came just hours after an Israeli settler soldier, identified as Almog Shiloni, 20 years of age, from Modi’in illegal settlement (near Ramallah) was stabbed at a train station, south of Tel Aviv, and died of his wounds later on. Israeli Ynet News said Sergeant Shiloni died of his wounds of Monday at night at the Tel HaShomer Israeli Medical Center. Israel said the attacker has been identified as Noureddeen Abu Hashiyya, from Askar refugee camp, in the northern West Bank district of Nablus, and that he entered Israel without a permit. The meeting included Israeli Defense Minister Moshe Ya’alon, Israeli Army Chief of Staff Benny Gantz, Public Security Minister Yitzhak Aharonovich, Israeli Attorney General Yehuda Weinstein, and Shin Bet head Yoram Cohen. He instructed the officials to increase the number of Israeli soldiers on the ground, and to demolish the homes of Palestinians responsible for attacks against Israel. The latest development came amidst increasing tension and clashes in different parts of the country, mainly in occupied East Jerusalem, following escalated settlers attacks and invasions into the yards of the Al-Aqsa Mosque in Jerusalem.